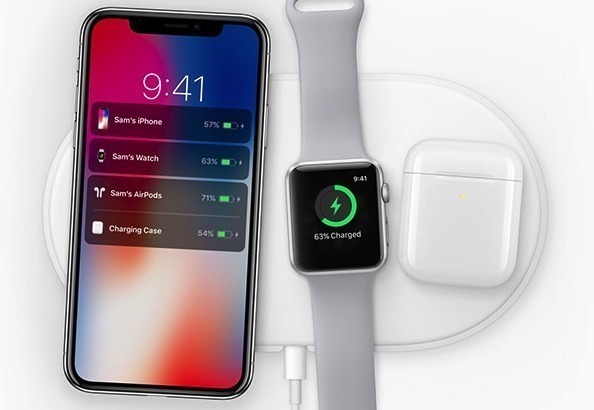 If Apple delivers the ability to charge my iPhone and (presumably future) AirPods on one charger without the need for precise placement I will be thrilled. Fingers crossed! This charging mat will be insanely great. This charging mat will be insanely great late. Solving the placement issue would be huge. My son gave me his old Belkin mat. The phone would buzz and the screen would come on when you placed it on the mat, but if it wasn't placed just right it would not charge. The first week I used it I had a case where my phone wasn't charged when I woke up because I had either bumped the phone or it wasn't placed perfectly. After it happened the 2nd time I went back to the lightning cable. Cheaper, faster, more reliable, more efficient. The Fatman’s insane prediction - and I say insane ... Apple on March 25th will announce a streaming platform, it will sound mostly cool - but more importantly, unbeknownst to many at this time, will put into motion a long term disruptive entry into video. Analysts will of course be wish-washy about it, complaining with lots of ‘but it doesn’t include ____’ whiny statements for their online articles and tweets (but little will they know they will regret their statements three years from now). Fan boys at the moment will cheer it on, but not quite whole heartedly. But then ... out of the curtains comes ‘one more thing’ ... the much anticipated ... wait for it ... Apple charging pad. There are loud cheers, but unfortunately also a few smirks. As the house lights come on there is a pause - and Lord Tim Cook holds up his index finger - could it be ‘one more, one more thing’?There is a puzzled, yet excited look on the faces of everyone in attendance - as if the stars had aligned in the heavens just for this Apple announcement ... a cosmic punctuation mark, if you will ... One of the most anticipated products ever is unveiled ... Apple AirPods 2 (with new 7nm W3 silicon inside) ... yes, yes you heard that right ... the crowd goes wild ... audience members start high-fiving each other... a few people actually feint! There is - but for a moment - world peace. But sadly, Warren Buffet is rushed to the hospital for chest pains after Apple stock hits a new 52-week high. And the Fatman, who sits alone at his desk at work - taking a late 1:00pm lunch break to watch the event’s video feed (with volume turned low) - grins to himself. He will go home that evening and hug and kiss his wife and children knowing that his life is finally complete.